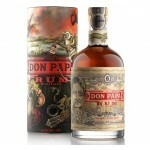 Don Papa Rum is a rum named after the Filipino freedom fighter Dionisio Magebuelas, one of the leaders of the independence fight at Negros island. Don Isio, or Don Papa as the locals call him, saw as a young boy how the Spanish entered the island and taking the land from the locals. The island Negros is still known as Sugarlandia and where they have sugar, they have rum. The Philippines are the world’s second largest rum market and the 100% Filipino Don Papa shows their craftsmanship and quality. 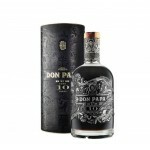 Don Papa Rum is a rum named after the Filipino freedom fighter Dionisio Magebuelas, one of the le..